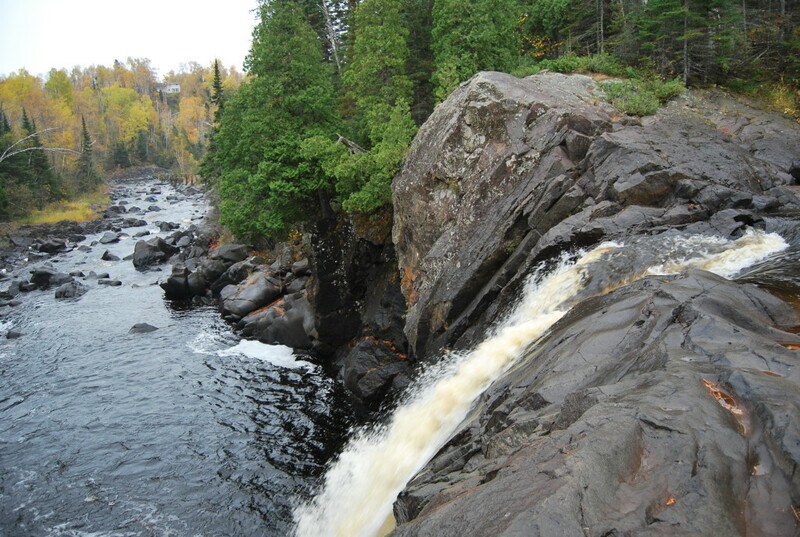 If pressed to name the most idyllic, tranquil, heavenly place in Minnesota, the Illgen Falls Cabin at Tettegouche State Park on the north shore would almost have to be it. The log cabin-style retreat is a secluded A-frame managed by the park service, available to rent every night of the year. 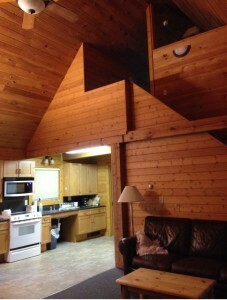 Not only is it completely private, furnished, and clean- it sits about 100 feet away from a roaring waterfall. 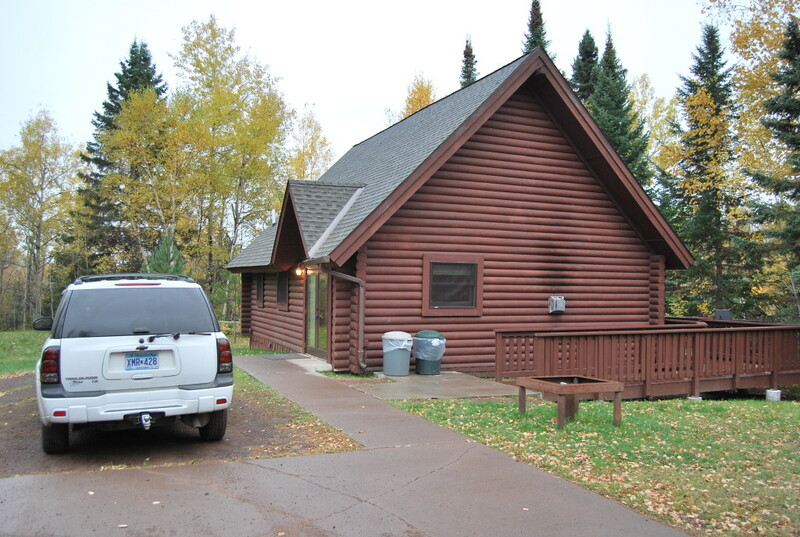 In order to get the Illgen Falls Cabin, one must make reservations quite a bit ahead of time with the state park. Once there, you check in with the main park office and get the key and directions to the location, since it’s not in the main park area. You reach an unmarked, gated driveway which leads down to the cabin. After unlocking the gate and taking the short driveway to the cabin, you can already hear the waterfall as soon as you get out of the car. The cabin was formerly a private residence which was bought out by the state park system in the early 2000s. The beautiful little cabin has everything you could need. Fully furnished, propane heated, two bedrooms, a full bathroom/shower, kitchen, gas grill, microwave, even a tv with a dvd player. Unlike the traditional state park camper cabins, there is plenty of room for a larger group to stay here. You just need to bring linens, towels, and food. And clean up after yourself, like most state park cabins. Illgen Falls Cabin has a large deck and a good sized lawn, and there are two different trails only steps away from a large, isolated waterfall. 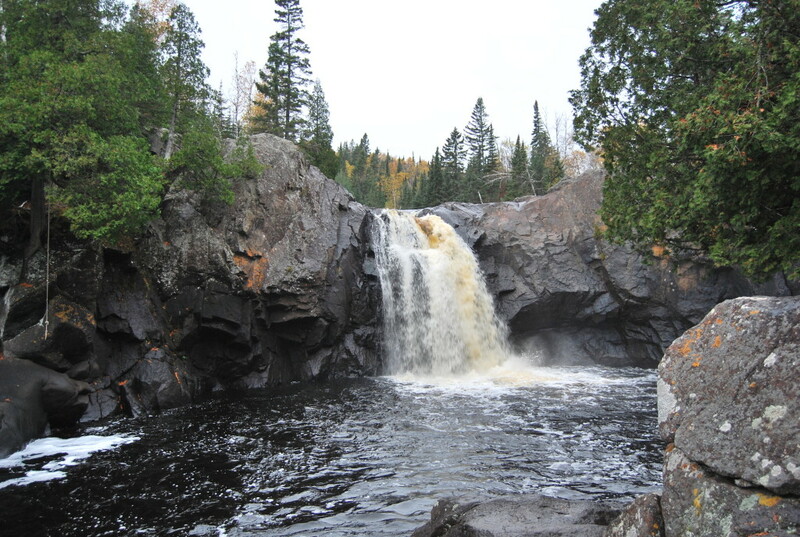 Illgen Falls is a beautiful formation in the Baptism River which tumbles 45 feet over dark rock into a pool where rope swings hang off branches above. 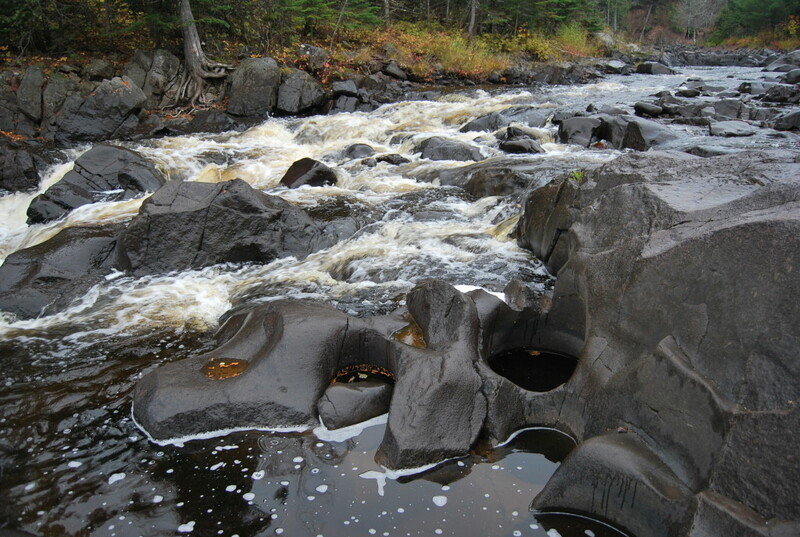 A different trail leads to the top of the falls, where the river flows through an outcrop of potholes and shallow pools before plunging over the edge. There is also a sweeping view of the vista below. It runs around $180/night during peak months and $140/night during the offpeak months, which was when we stayed for a night during our honeymoon. 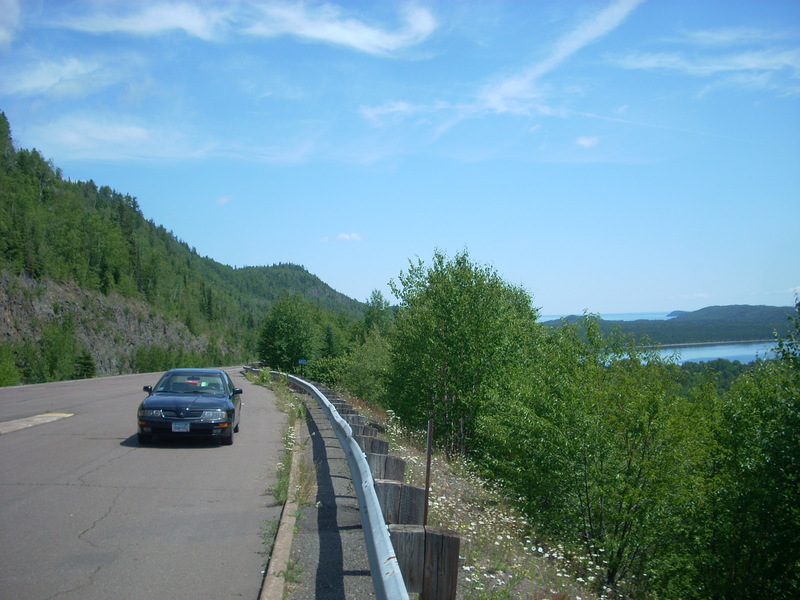 I would imagine summertime may be a bit busier, as there is a hiking trail from a nearby road to the falls. I’m sure its a popular place for locals to cool off during the day. But when we went midweek in October, it was quiet and peaceful, and completely isolated. This is a place I cannot wait to get back to someday. 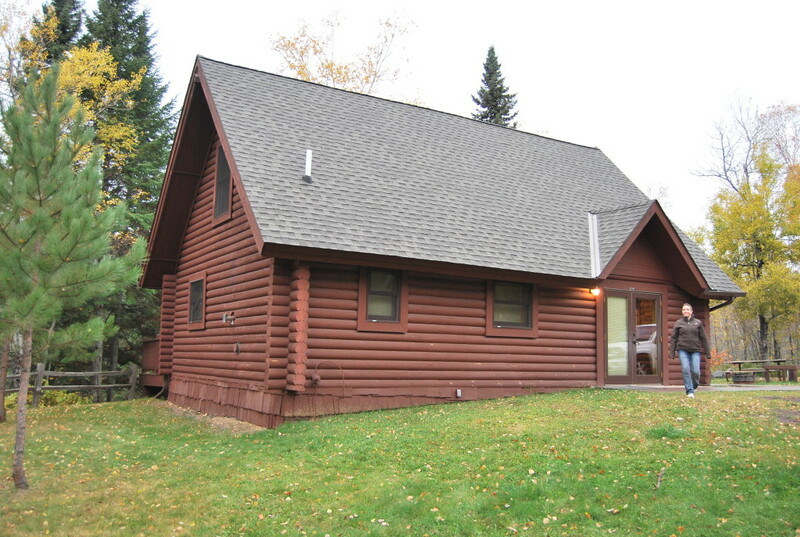 Sure, there are countless cabins, lodges, and rooms in Minnesota to rent on lakes, rivers, Lake Superior, etc., and all of varying sizes and levels of luxury. But very few can compare the amenities of this gem. Staying at the Illgen Falls Cabin makes you wonder why the previous owners sold such an amazing piece of property in the first place. But we are certainly grateful they did. 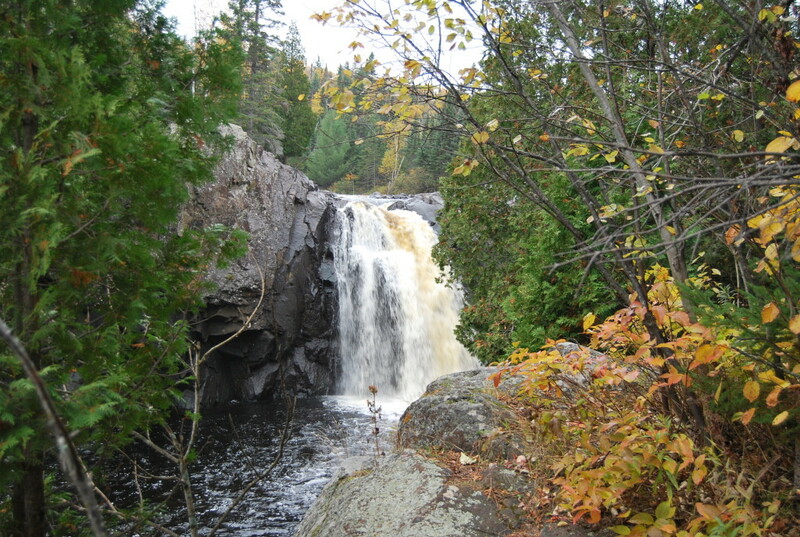 **Updated 9/18/15 : Check out a great review of the Illgen Falls cabin that some of our friends were inspired to write after a recent trip there. Check out the rest of their page while you’re at it for some incredible wall art! It sounds so secret and mysterious. But based on the great views it seems the trip is worth it! It’s definitely worth a trip! I would (and plan to) go again in a heartbeat. We stayed at this cabin the last week of June, 2016. Absolutely beautiful spot. Mice, mice, mice, like as in, on the warpath every night. Called the park, they came out several times, tried to plug holes in the basement and gave us traps, (we caught around 15 of them over the course of the week we were there). At the end, they offered us a free day if we came back. I’d love to go back as this is as the article above implies, *beautiful*, so just confirm the mice are gone. My wife would appreciate that. Like, a LOT.